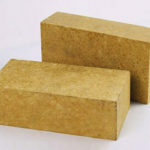 Magnesia spinel brick is a kind of refractory brick which is generally made from magnesia and synthetic magnesium aluminum spinel. 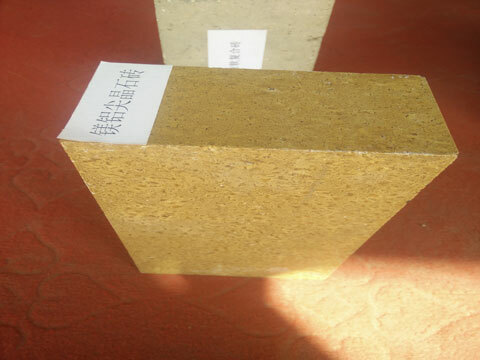 Actually, Magnesia alumina spinel brick produced from magnesia and spinel are commonly called magnesia spinel bricks or periclase spinel bricks. 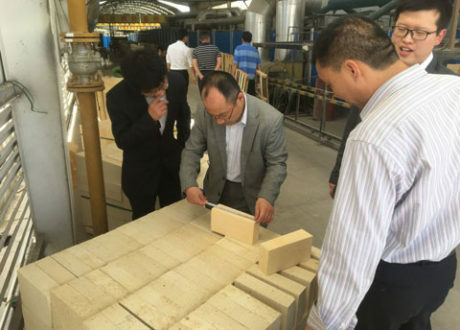 The reason why magnesia alumina spinel bricks were developed is that the thermal stability of magnesia bricks needed to be improved. 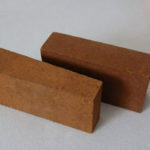 Magnesia spinel brick is featured with good thermal stability, low thermal expansion, high melting point and stable chemical properties, and has strong resistance to alkaline slag. 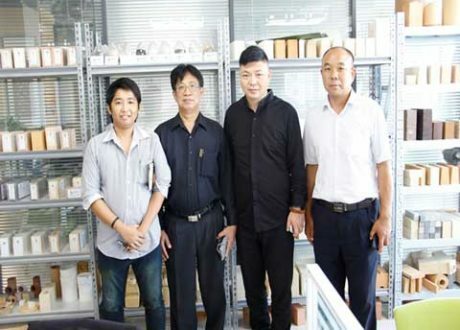 So if you are in need of magnesia spinel brick, Welcome to Email us for free quotation! For the past 20 years, magnesia spinel bricks became widely used in the art as alternative for magnesia chrome brick liners. 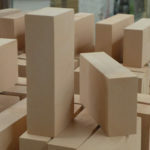 The magnesia, MgO, present in the magnesia spinel brick makes the brick basic so that it can withstand the highly basic environment of the rotary cement kiln. Magnesia, however, exhibits high thermal expansion, high thermal conductivity, and poor thermal shock resistance. To alleviate these problems, spinel, MgAl2O4, is added into the refractory mix. Spinel has lower thermal conductivity and lower thermal expansion than magnesia. When spinel is added to the magnesia, the magnesia is essentially diluted and the thermal expansion and thermal conductivity of the refractory is thereby reduced. Thermal shock resistance is also improved because of the large difference in thermal expansion between the magnesia and spinet. 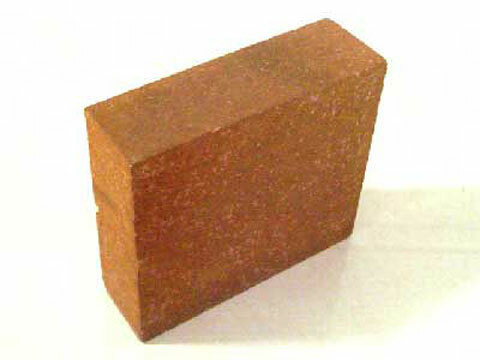 This thermal expansion mismatch creates microcracks in the brick, which improves thermal shock resistance. 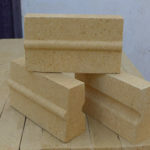 Thus, the addition of spinet to the magnesia product creates a refractory that is basic in chemistry and has good thermal shock resistance, low thermal conductivity, and low thermal expansion. 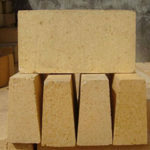 Magnesia spinel bricks are widely used in refractory materials, steel smelting, transition zone of cement rotary kilns, glass industrial furnaces and lime kilns. The service life of magnesia spinel bricks in the cooling zone and transition zone of the kilns is twice that of magnesia chrome bricks. However, in terms of corrosion resistance, magnesia spinel bricks are not as good as direct combination of magnesia chrome bricks. 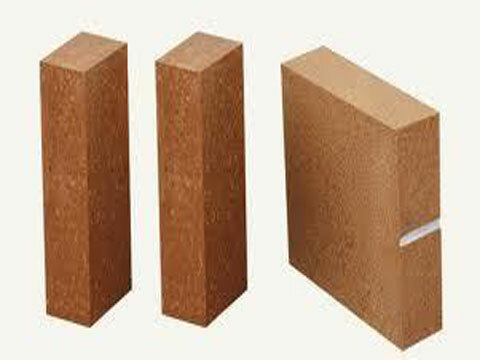 Firstly, magnesia spinel bricks are used to make ladle castables, which can greatly improve the erosion resistance of steel linings. 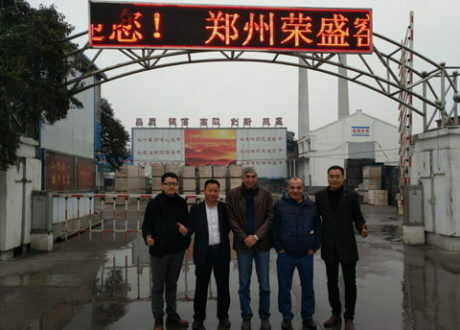 The preparation of high-quality pre-synthesized spinel provides new raw materials for the production of unshaped and shaped high-purity refractories. 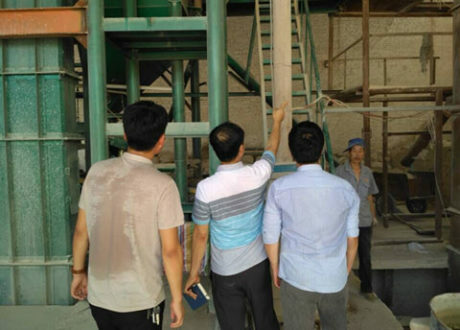 Secondly, Magnesium spinel brick is used in cement rotary kiln instead of magnesia chrome brick, which not only avoids chrome pollution, but also has good anti-flaking characteristics. Over the 20-year period of magnesia spinel brick use, several distinct evolutionary steps in composition formulation can be identified. 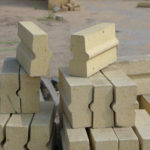 These distinct steps are generally referred to as ‘generation’ within the refractory industry. 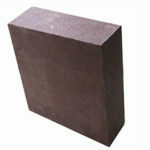 First generation magnesia spinel brick are vased on the use of magnesia and in situ spinet. The in situ spinel is formed by adding small amounts of relatively coarse alumina to the brick to form spinet during firing. 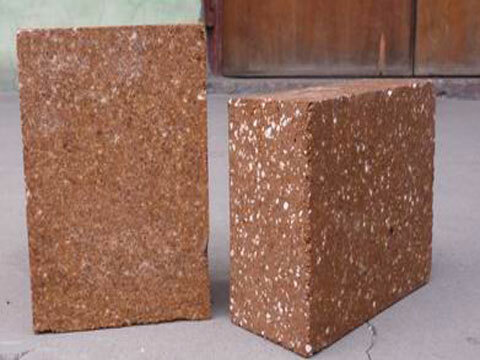 Second generation magnesia spinel brick are characterized by the use of preformed spinet in the brick. 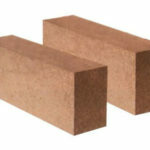 The use of preformed spinel allowed more spinel to be added to the brick, which improved thermal shock resistance and lowered thermal expansion and conductivity. The preformed spinet grain added to the composition can be either or fused. Third generation magnesia spinel brick are characterized by the use of preformed spinet in combination with a very fine alumina addition. The fine alumina reacts with the magnesia fines in the mix during firing to form in situ spinet, commonly referred to as a spinet matrix. 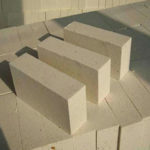 The addition of fine alumina to the refractory composition lowers porosity, permeability, and improves intermediate temperature strength at temperatures of above 2300。F. 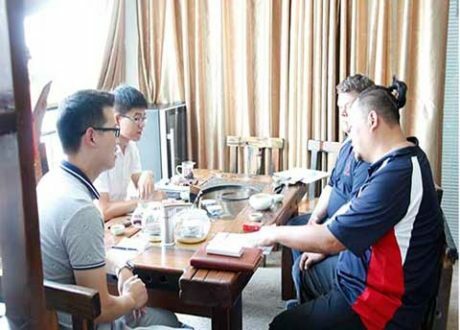 Rongsheng magnesia alumina spinel bricks are new developed chrome-free refractories for cement rotary kilns, with excellent performance and energy-saving. 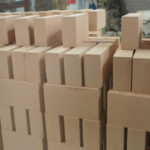 Various high quality fire bricks for sale in RS Kiln Refractory Company, such as high alumina bricks, fire clay bricks, magnesia bricks, magnesia chrome bricks, insulating fire bricks,etc. Everyone who wants to learn more about magnesia spinel bricks, Email us for getting what you want right now!